Designed for small groups, high-school age and up, A Work in Progress: A Scriptural Course toward Self-Improvement addresses the desire for self-improvement and puts God’s Word at the center of the discussion. Each of the seven topics covered inside this book are designed to be discussed during forty-five- to sixty-minute sessions, each addressing a contemporary, worldly topic and probing the question of personal growth while searching God’s Word for the answers. Participants hear God’s desire for our actions and realize the power of the Holy Spirit in our lives. Each lesson also reveals the ways God shows His character traits to us. There is a dual emphasis in A Work in Progress: a lawful “what we should do and how we should act,” coupled with a focus on Jesus’ love and forgiveness for our human shortcomings. 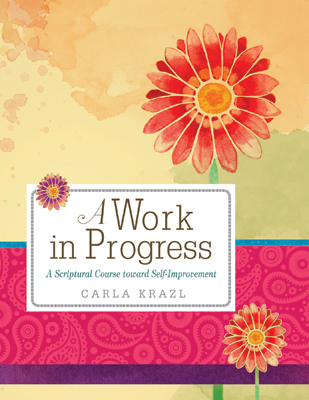 This bible study takes you back to the basics and yet inspires discussion in a group setting. If you are crunched on time this one fits your time perfectly. It also brings the commandments into the study. I recommend it.